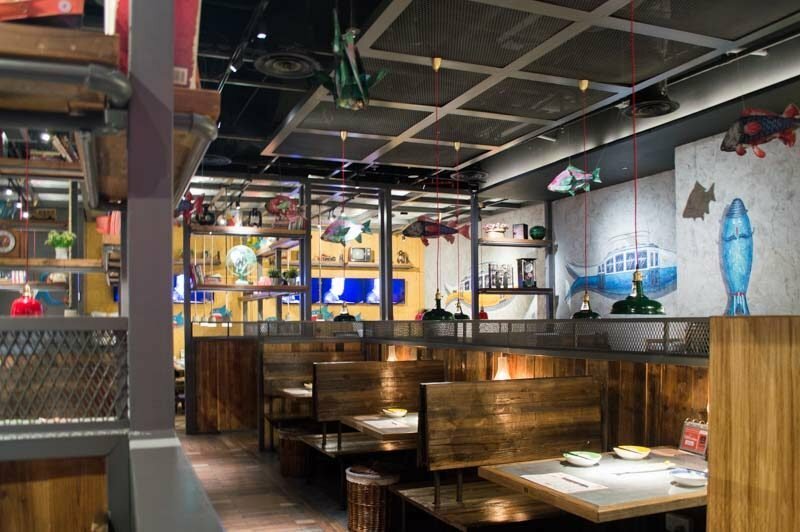 One of the most popular grilled fish chain restaurants from China can now be found at [email protected]! 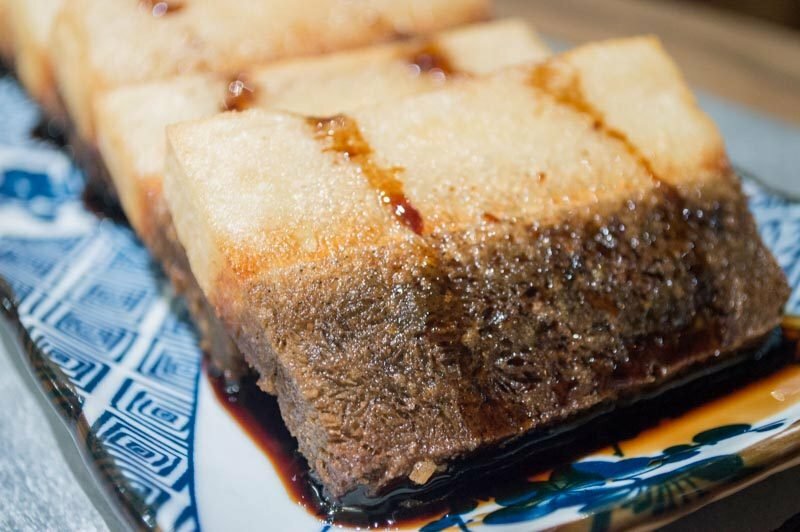 TanYu 探鱼 first originated from Shenzhen, and has expanded to over 170 different restaurants throughout China. 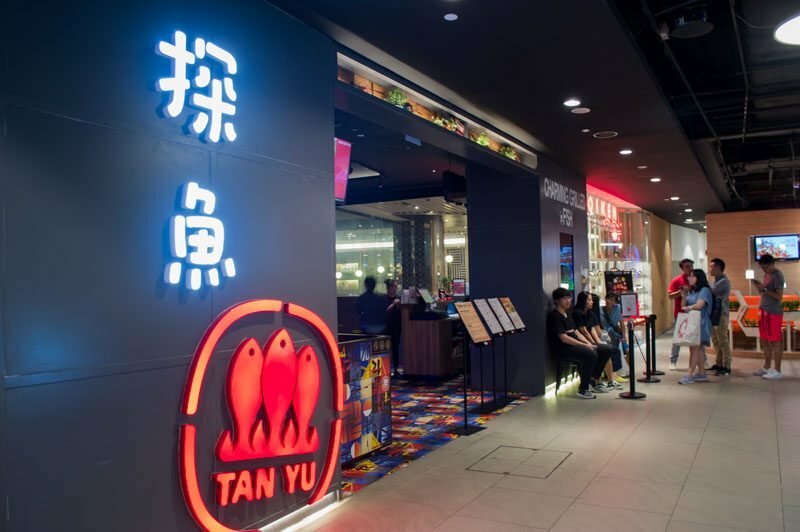 TanYu has been popular since its arrival in Singapore, with a constant long queue of customers outside the restaurant. Once you walk into the restaurant, it is as if you’ve walked into a new dimension. With vintage decorations and the addition of wooden tables and benches, it gives you the impression that you have gone back in time. TanYu is known for their grilled fish menu with 15 flavours and four types of fishes to choose from. In addition, you can also choose from 21 side dishes. TanYu’s fishes are all fresh and weigh a hefty 1.2kg each. 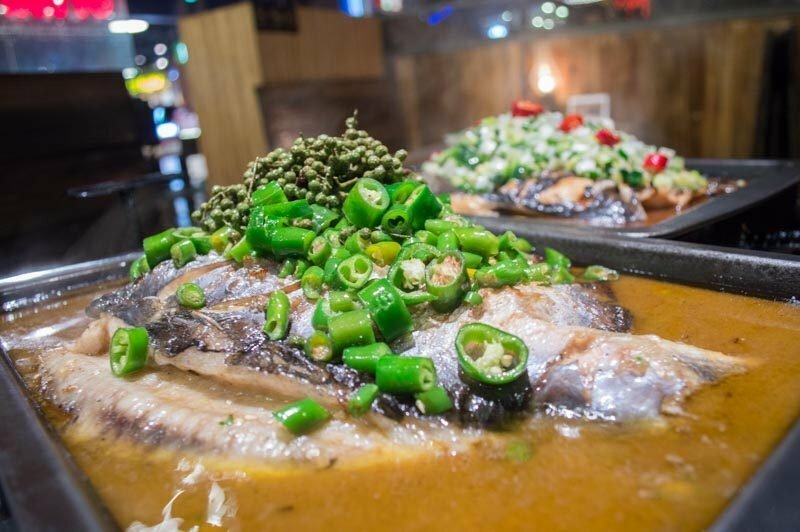 The enticing smell of peppercorn made me want to try their speciality Grilled Fish With Green Pepper (S$39.90), with the recommended Limbo Fish. The fish was covered with green bell peppers and topped with a bunch of peppercorns, which was rather overpowering and numbed my mouth. I was recommended to scrape the peppercorns into the gravy to increase the ma (numbing) effect. The spicy flavour helped to balance out the salty gravy. The fish’s skin was grilled to crisp, and the inside was filled with succulent meat that falls off the bones easily. As a side, I added Golden Combination (S$10.90). This includes enoki mushrooms, crab sticks, potatoes and lotus roots. Cooked under the fish, these ingredients absorbed the gravy and burst in flavours when bitten into it. I left my sides to cook longer as I prefer them delicate. The enoki mushrooms changed the texture of the dish giving it a slight crunch. If the gravy starts to dry up, you can request for the service staff to top up it up with pork broth. TanYu also caters for those who are not a fan of spice. 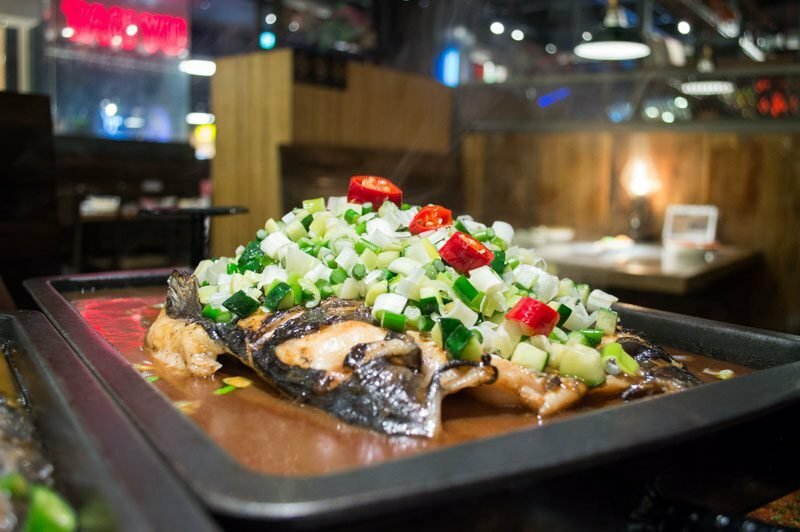 I tried the other speciality Grilled Fish With Soy Sauce (S$42.90), with the Qingjiang fish. This soy sauce flavour was the opposite to the green pepper as it tasted sweet and savoury at the same time. 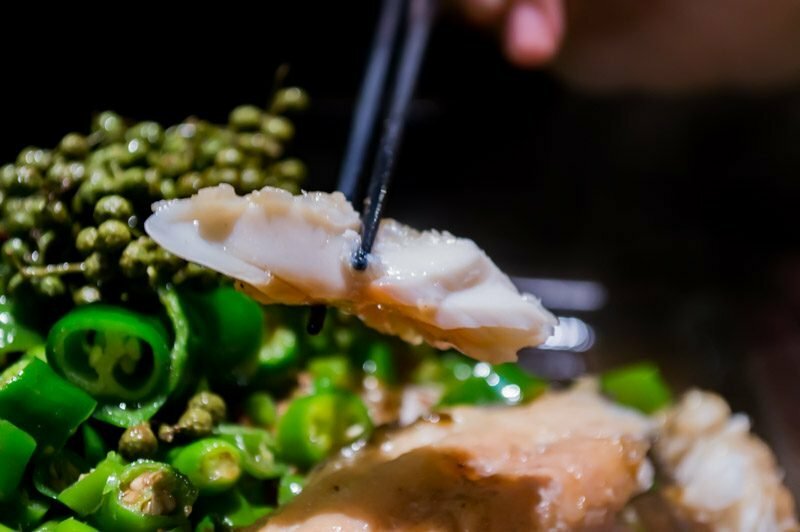 However, I didn’t really enjoy this dish as much, because the Qingjiang fish was full of bones, which made it difficult to get a mouthful of the meat. Unlike the Limbo fish, the Qingjiang was less juicy and tougher. Compared to the green peppercorn flavour, there wasn’t anything that differs this dish from other soy sauce grilled fishes around. Even though TanYu’s grilled fish is their speciality, there are other barbecued items that you can try too. I had their Grilled Eggplant (S$3.50), which had a layer of minced garlic mixed with cumin. The eggplant was soft and creamy, while the garlic on top provided a slight crunch to every bite. Diners would also be able to taste the lingering flavour of cumin after each bite, though the garlic might be overwhelming for certain people after a while. To finish off the meal, I ordered one of TanYu’s popular desserts: Handmade Double Taste Rice Cakes (S$7.80). These rice cakes were boiled and deep fried to make the outside golden crispy, while the insides remained soft. This dish is popular among diners who would like to neutralise the flavours in their mouth after a spicy meal. Half of the cake was made of original rice cake and the other half was made of black sesame. Coated with maple syrup, this sticky and chewy dessert ended the meal on a sweet note. 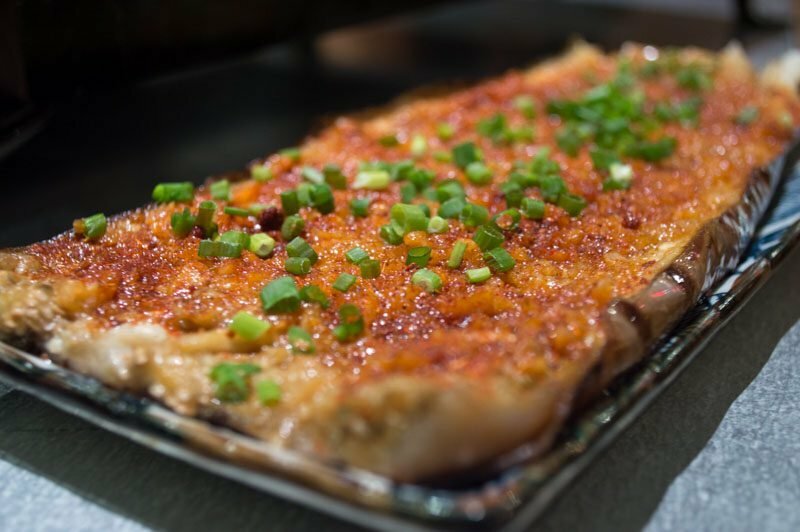 Amongst the grilled fish restaurants in Singapore, TanYu is still one of the most authentic ones. If you are near Somerset, go over and check the restaurant out as the food is suitable for all ages. You might also want to arrive as close to the opening time as possible to beat the queue!